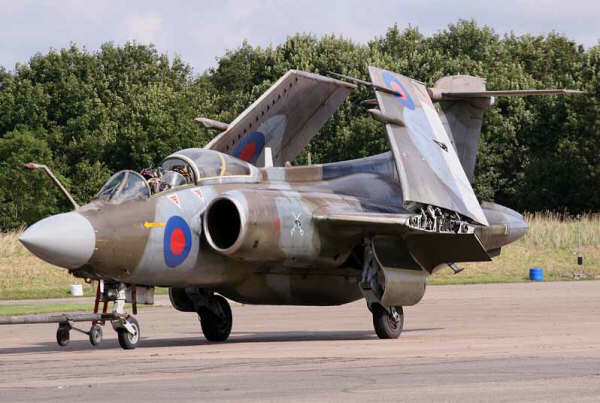 The buccaneer is a 2-seat fighter jet, developed for the British Navy for on aircraft carriers. With the retirement of the conventional fixed-wing airplanes in 1978 the buccaneers were replaced on the aircraft carriers. After that they were only used as a land-base fighter jet for maritime missions. In 1980 came the first of the 3 current aircraft carriers in service with the British Royal Navy with the harrier fighter jet.